David Copperfield’s magic trick revealed! The news is everywhere! Newspapers, radio shows, Internet, T.V. news, T.V. shows, coffee shops, magic shops, and friends are talking about this. 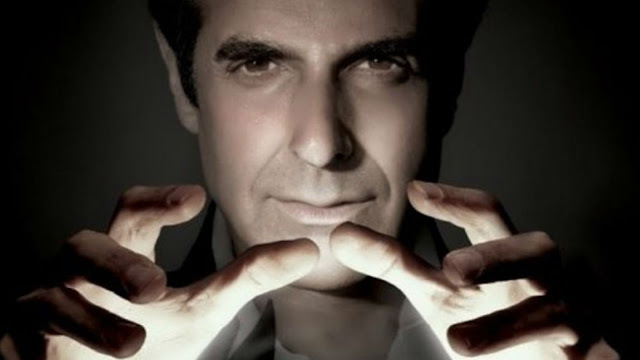 David Copperfield, the most famous magician performing in Las Vegas, needs to reveal the secrets of his illusion in which he made members of the audience disappear from the stage! But why does this news have national or even international attention? Is this really about the revelation of a magic trick? Has anyone taken a look at YouTube for the last ten years? Or videos on Facebook? There are hundreds of these types of videos out there! They show how magic tricks and illusions are done – everything from tricks with coins, cards, doves and rabbits to escapism, levitation, and illusions on making an elephant disappear. The list goes on and on. At issue in this news item is that the world’s most famous magician must reveal a trick in court because he is being sued by a person who claims he was injured during a magic act in Copperfield’s show. First, we don’t know what happened. All sorts of theories are circulating. Were the proper safety regulations in place in the theater? Was the person really injured or is he merely trying to take advantage of a famous magician for money? Is the whole thing a publicity stunt? Again, we don’t know and it is all for a judge to sort out. But for me as a professional magician, this case illustrates a far bigger point about our industry: we are not just magicians and entertainers. We are businesspeople. We magicians need to take care about our shows in every aspect, including the business side. We are not exempt of any unfortunate situation when we are on the stage, so what was alleged to have happened with David Copperfield could happen to any of us. When customers call to hire a magician, there are many things that go into that answer beyond the length of time of the act. Every magic show is created to entertain the audience. As artists we are clear on that. But we also need to take our time to think about what type of magic tricks or illusions we present, what is appropriate for the event and also for the age group. There is a lot of marketing and other expenses like insurance involved behind the scenes and a lot of careful planning about what tricks to buy or create, how to stay innovative but also responsible. We not only want to deliver a great magic show, but we also have to be sure to avoid accidents and to keep the audience safe. And I am not just talking about magic tricks that can hurt someone physically, but also psychologically. There are magicians doing illusions in schools that involve knives and nails and other scary effects. (Really?) Kids are like sponges; they absorb everything that they see and then they try to do it. Think for a moment about your magic act and where that magic show act is going to be delivered as well as how you are going to deliver it. A professional magician is not only someone who can perform a trick well, but is an entertainer who knows his audience. For me, this is the greatest magic trick that a professional magician will always reveal: the passion for your art as well as the respect for your audience.